Recently I had a requirement in which I had to run an application directly from a DVD. So I made a demo application so that I can share it with you guys. 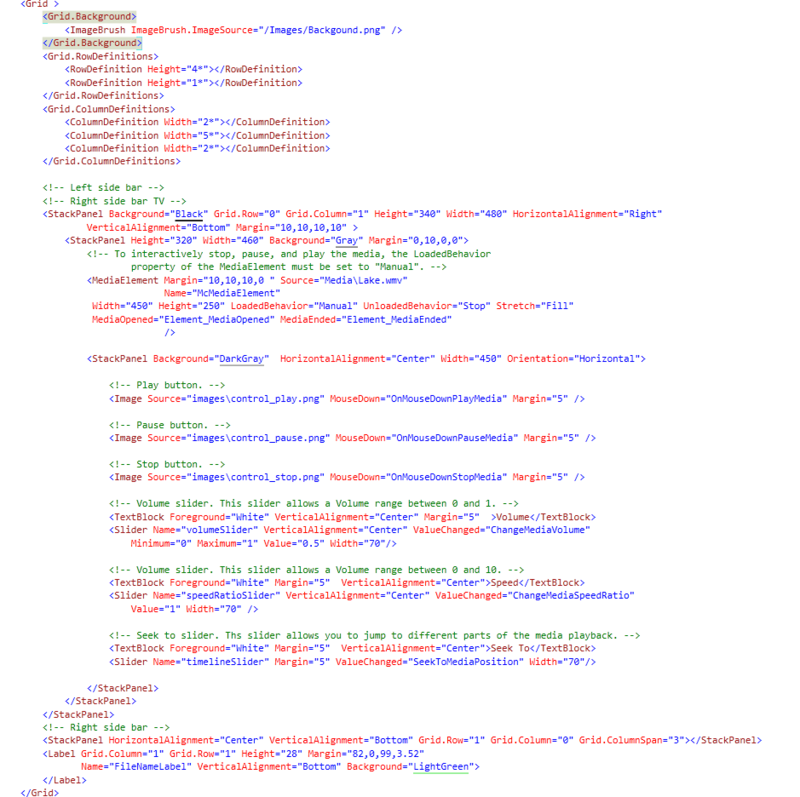 Now we need to add the event handler for these events in our code behind. These can easily be converted to Commands but I did not bother as I wanted to keep it simple. So we add the following code to the code behind of our window. 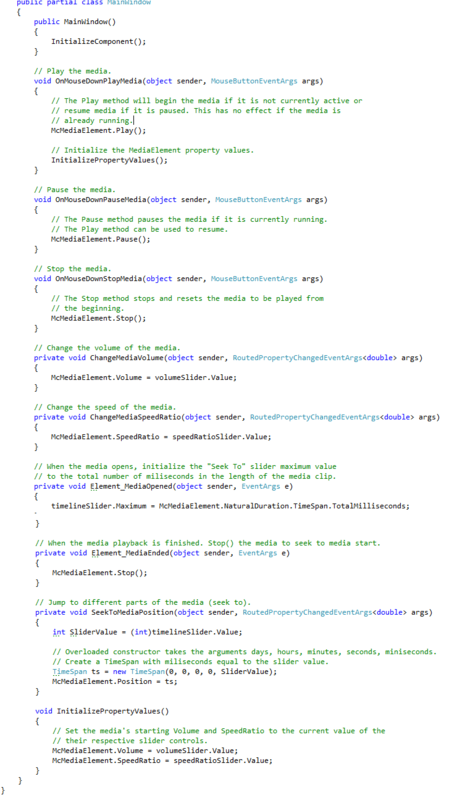 Now we make sure we have the media already present in our application. 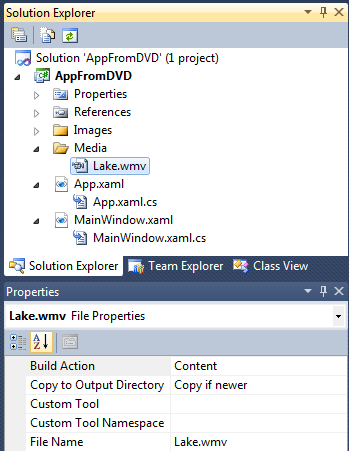 So we add a Media folder into our application and we add the a video named Lake.wmv to it. And sure it has properties set as shown. To run it from the DVD we need to create an ISO file which we can write to a DVD. So create an ISO file I have used Magic ISO Maker which looks something like below. I then browse to the bin folder of my application and drag all the files and folder in it on to the blank area above and create the ISO. Now we can write this ISO to a DVD or just run it using a virtual drive. We can browse the DVD and run the application. The source and ISO can be downloaded here. Any questions, comments or feedback is highly appreciated.